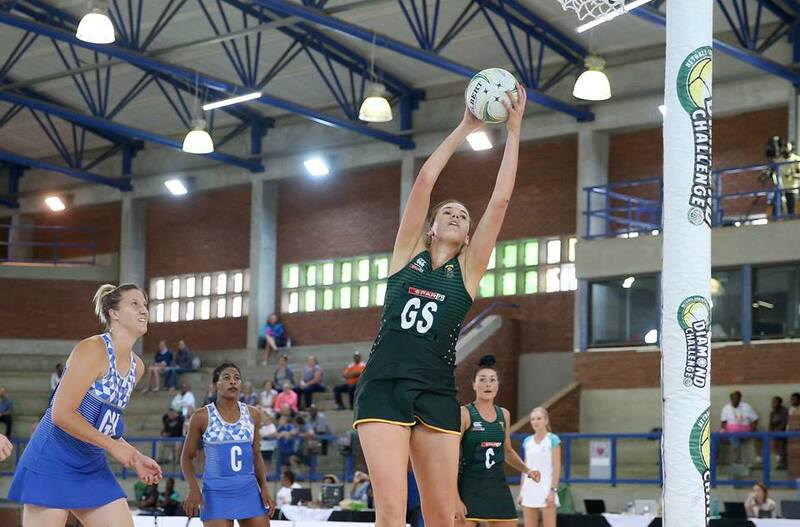 In what was set to be their toughest encounter of the Diamond Challenge, the SPAR Proteas netball team still managed to run out 62-35 winners over the SA President’s XII in Polokwane on Thursday. The Proteas took to the court with the unusual combination of Lenize Potgieter at goal attack and Sigi Burger at goal shooter once again as coach Norma Plummer continues to prep her players for all sorts of scenarios. The structure seemed to work well as the national side sped to an 18-5 lead at the first break. As the President’s XII – a team made up largely of rising junior players – found their feet, they managed to put up some stiff defence, meaning the difference in goals scored in the second quarter was only four. The fourth quarter was the best for the youngsters, who managed to match the national side’s 13 goals scored. But their lack of overall consistency and a few untested combinations meant the President’s side could not keep up with the Proteas, who eventually claimed the win by 27 goals. ‘I would definitely say I’m happy. The win on the board is what we wanted today,’ said SPAR Proteas captain Bongi Msomi afterwards. ‘We obviously still have a few things that we want to work on. I think today we did have some great passages of play, but we let it slip away a little bit. That is part of the game though, learning how to get out of that and then going back to the game plan. ‘We expected them to play hard from the first quarter. We knew today it was going to be a big game and we knew we’d have to put our foot down to grab the win and to perform well. In the last quarter they really pushed us, which was good to see. It’s just good for netball in South Africa,’ added Msomi. Coach of the President’s XII, Jenny van Dyk, explained, ‘We had a bit of a slow start, but what we expect from our best team in the country is to come out all guns blazing. The President’s XII will next play Zimbabwe, while the SPAR Proteas’ next assignment is against Zambia on Friday. Msomi explained her side won’t be taking that challenge lightly. ‘Zambia is really amazing. They pushed the President’s XII when they played against them, so we can’t underestimate them or anyone here, because we don’t know the players or the way they play. It’s a case of going out on court and taking it as it comes. I think that’s the toughest part, compared to being able to read the opposition and know how they play and what they might bring.